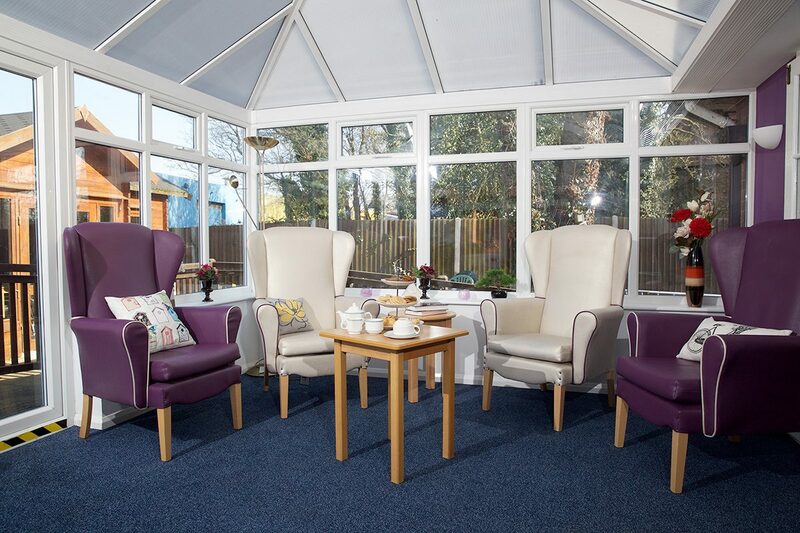 Firstlings is a residential home, located in the lovely, picturesque town of Maldon in Essex, and has been established since 1986. 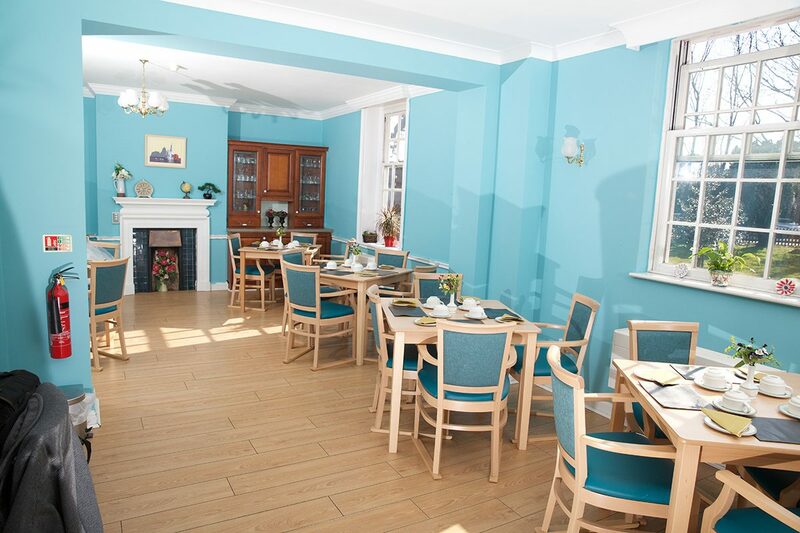 It was originally a vicarage, and is set in gardens, including a centrally positioned courtyard garden and patio area. 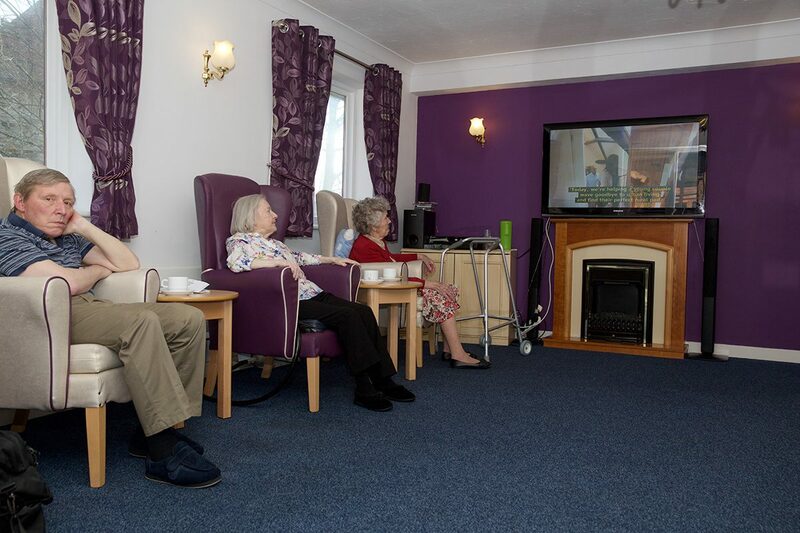 At Firstlings, we are told it feels like a home away from home. The Home has been beautifully furnished and our onsite handyman ensures the decor is regularly updated to keep the Home looking fresh. 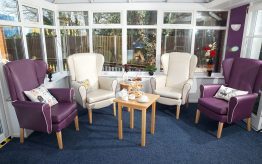 We provide 24-hour quality care for 32 elderly ladies or gentleman in single rooms who are aged 65 or above who may have suffered the disabilities of stroke/arthritis or any illness that has affected their mobility or ability to look after themselves and their homes any longer without assistance. 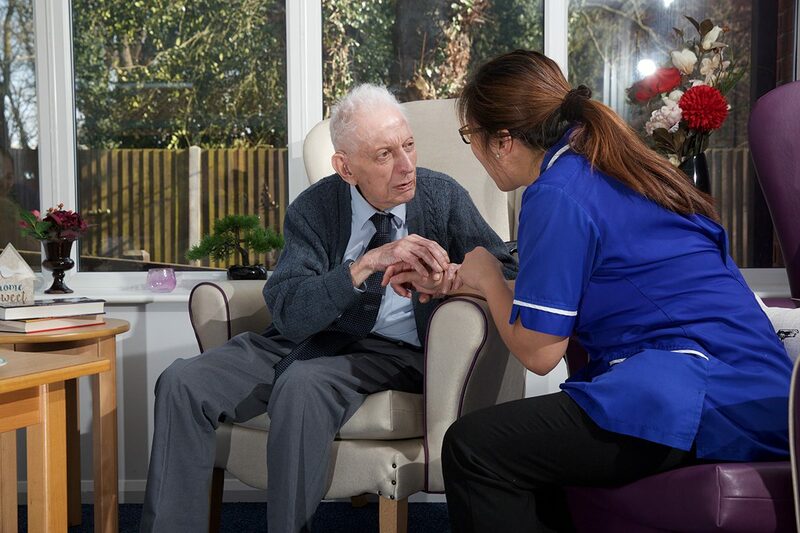 We are able to also provide care for those suffering from Alzheimer’s or Dementia. 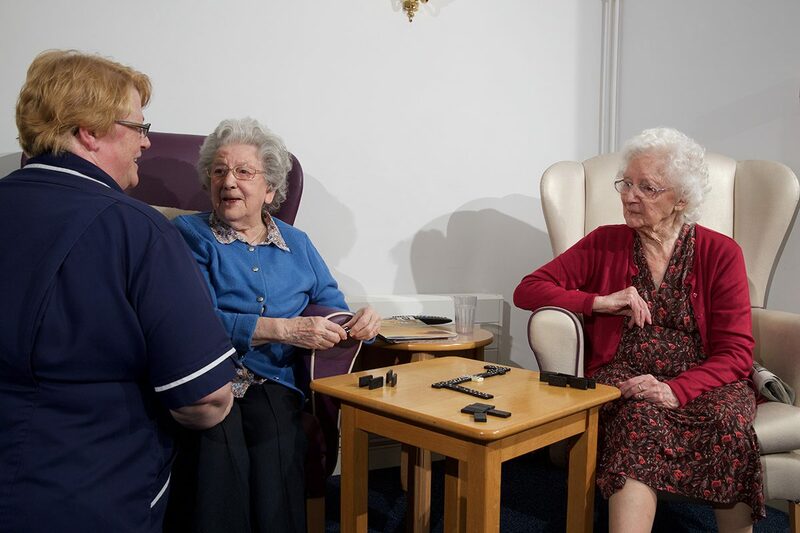 However, the home does not provide nursing care directly; district nurses do serve the home on a daily basis. At Firstlings we are committed to providing a secure, happy and comfortable home, promoting a high standard of care and understanding of individuals needs, to offer as mush support as required, whilst maintaining respect for privacy at all times, and help maintain personal dignity and independence wherever possible. 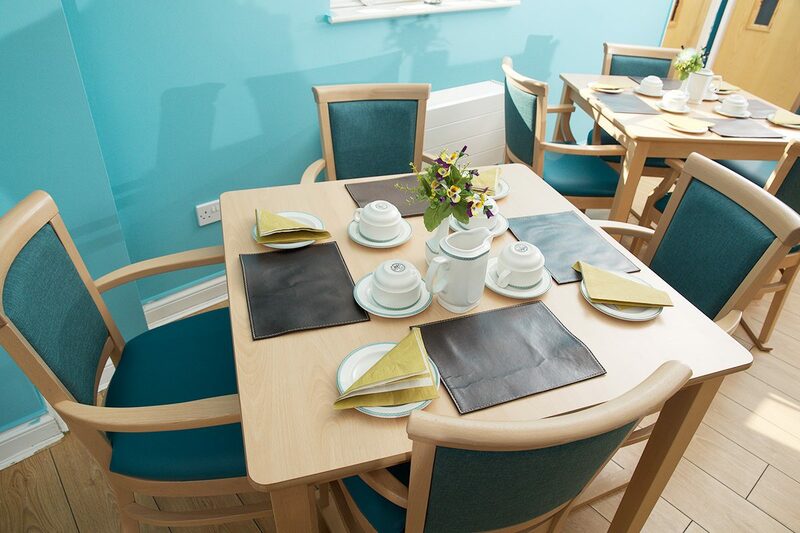 All bedrooms and communal areas are fitted with a nurse-call system and smoke alarm. All bedrooms are fully furnished, but residents are welcome to bring with them items of their own furniture by arrangement. We have regular visits from a hairdresser, chiropodist and optician, and also hold Holy Communion every month. Our doctors and districts nurses highly recommend us and we have a great relationship with them all. 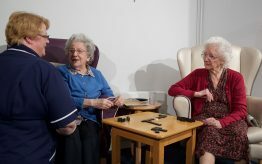 Activities are given a very high priority in our home, and we pride ourselves on the range and variety we offer our residents; from bingo, and alphabet games to flower arranging. Many are also not only enjoyable but aid in keeping the mind active from number recognition to mind expression. 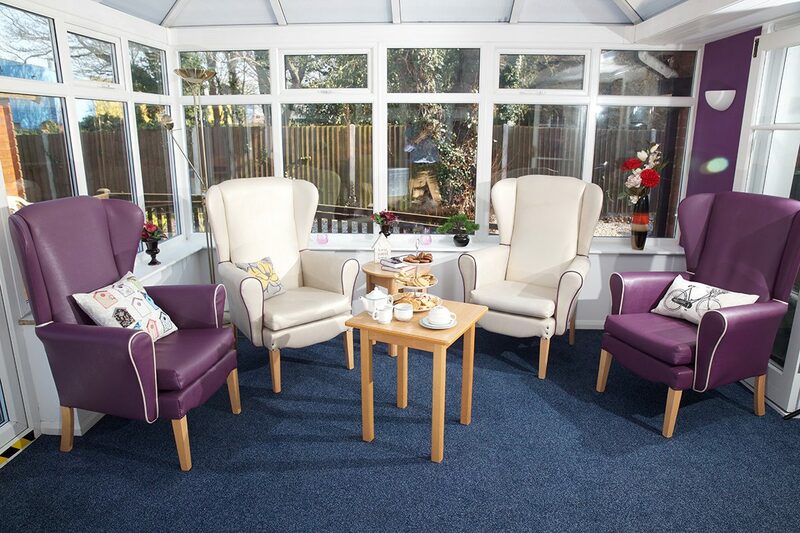 We also have a sensory garden with brightly coloured charms and butterflies, sparkling in the sunshine. The Home has great support from local businesses, where one such business provides us with the flowers for our arranging classes. Support from our local community is very important to us and we attend Rotary club parties and our local secondary school, with volunteers coming in for demonstrations too. 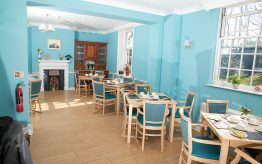 Meals are freshly cooked daily, puddings and homemade cakes are a treat and our dining room has a very homely feel. Our staff are all dedicated with all that they do and give lots of support to families too. 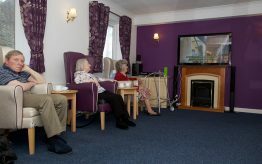 We hold coffee mornings, cheese and wine evenings and a garden party or barbeque in the summer time, these also raise funds for our residents so they enjoy life to the full.